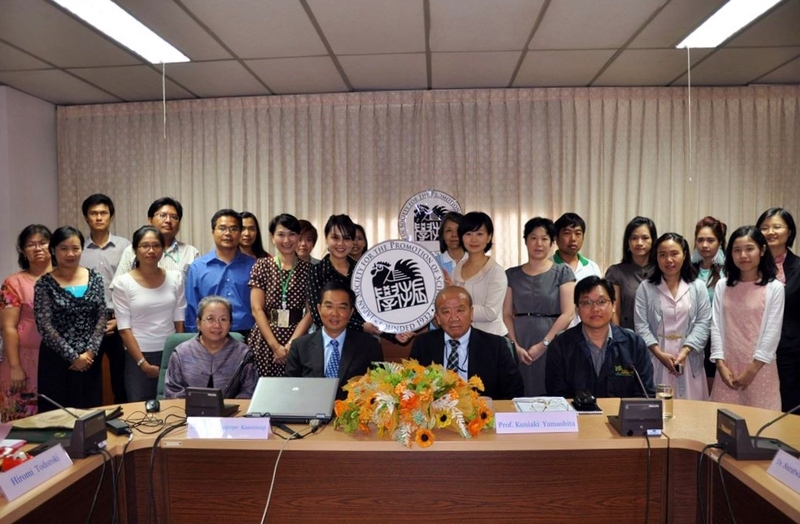 On July 17 2014, JSPS Bangkok Office held JSPS Guidance Seminar at Kasetsart University, Bangkhen Campus. This was the second seminar in Kasetsart University after the one held in Kamphaeng Saen Campus in June. Kasetsart University is highly valued in the field of forestry and agriculture with internationally ranked as 48th by QS university subject rankings. 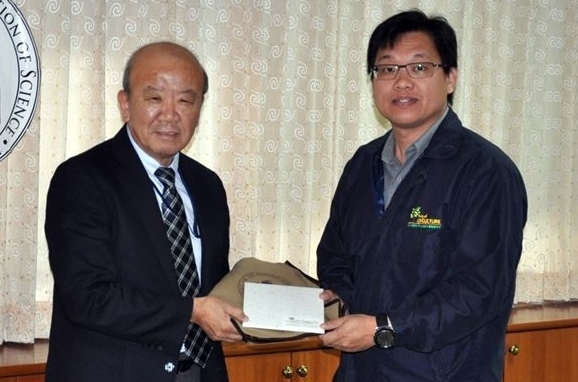 Many collaborative research projects with Japanese universities are also conducted including Yamaguchi University’s JSPS Core-to-Core program, “establishment of an international research core for new bio-research fields with microbes from tropical areas (World-class research hub of tropical microbial resources and their utilization)”. Dr. Poonpipope Kasemsap, Vice President for International Relation opened the seminar followed by the presentation by JSPS Bangkok Office about JSPS international programs. Dr. Suratwadee Jiwajinda, who had obtained her doctoral degree from Kyoto University under the JSPS RONPAKU (dissertation PhD.) program and an executive member of JSPS Alumni Association of Thailand (JAAT) gave a presentation on tips for application to JSPS fellowship programs. Dr. Chinawat Yapwattanaphun also made a speech on his research experience as a JSPS postdoctoral fellow in Kyoto University. He stressed the importance of research collaboration between Thailand, which owned indigenous research resource and Japan which had high-level research skill. 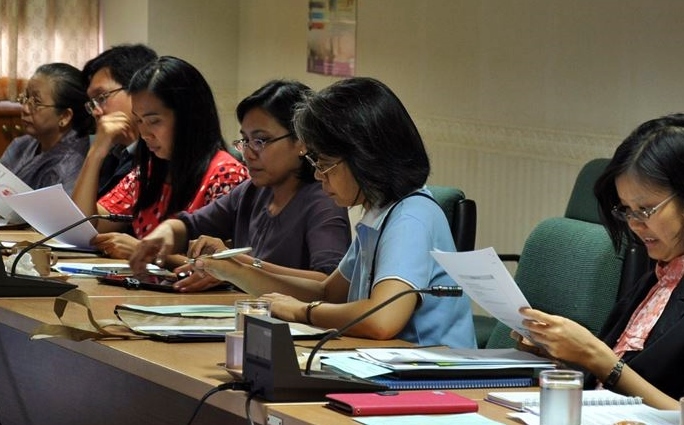 Around 50 mid-career researchers participated in the seminar. Some of them came all the way from Sri Racha Campus by taking more than two hours. After the seminar, many researchers approached the speakers and asked intently not only about fellowship programs but also joint research programs including bilateral program and Core-to-Core program. JSPS Bangkok Office realized that researchers in Kasetsart University had a strong interest in research collaboration with Japan.